When you're a ghost hunter planning your honeymoon, the destination is obvious. 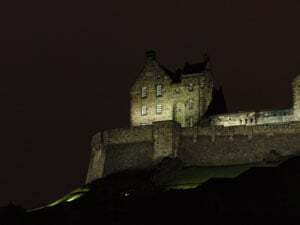 The British Isles are known for their magic and mystery - romantic tales of knights and royal families, bloody battles, beheadings and torture techniques that stand your hair on end, fairies, kelpies, banshees, crop circles and the Loch Ness Monster. 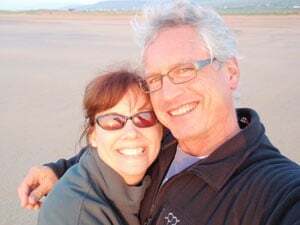 When your husband-to-be enthusiastically agrees that a 17-day tour of England, Scotland and Ireland sounds like the perfect getaway, ghosts and all, you know you're marrying someone who shares your sense of wonder and adventure. We flew from Austin to London on May 18, arriving in London early on the morning of the 19th. We checked into the Cranley Gardens Hotel in Kensington (http://www.cranleygardenshotel.com/) just off of Brompton Road. Back in August and September of 2001, the Cranley Gardens Hotel was very good to me and forever earned my business. On September 11, 2001, I was headed home from London after a three-week vacation with my best friend to Prague and Budapest when our plane was turned around mid-way across the Atlantic and returned to Heathrow to a scene of complete upheaval. We were left with a hotel voucher for one night, scared and homesick. The next day we returned to Cranley Gardens hoping for a room for...well, as long as it took to get home. Cranley Gardens did give us a room for the next week - at half price. London is one of my favorite cities and I've visited there eight times over the last twenty years. By contrast, Roger had never been to London. I wanted him to see my two favorite places on that first day - two very different sites that represent all of the reasons why I love London so much. First stop was taking the Tube to Westminster Abbey (http://www.westminster-abbey.org/), one of the most beautiful, historical and sacred churches that I've been inside. The air is literally thick with the prayers of the millions of people who've worshipped there over the last thousand years. Next stop was the Tower of London (http://www.hrp.org.uk/toweroflondon/), the most haunted castle in the world. With a stop in between to a wonderful pub for traditional fish-n-chips and a pint, we were off to a great start! After two more days spent exploring London, including a train ride down to Hampton Court Palace (http://www.hrp.org.uk/HamptonCourtPalace/) where Henry VIII lived and ate (you can tour the medieval kitchens where dinners for 600 were prepared every night! ), we used our 4-day BritRail pass to travel to York in northern England. York is an absolutely delightful medieval town, complete with city walls and the York Minster (http://www.yorkminster.org/), one of the world's most beautiful cathedrals. York's atmospheric "snickleways" - the name given to the higgledy-piggledy streets that make up the old town - are home to several ghosts and the world's first ghost tour started here. We stayed in a B&B called Alcuin Lodge (http://www.alcuinlodge.com/main.php?page=home.php) within walking distance of the city centre. Clean and reasonably priced with a full English breakfast, we were very happy with our choice. York is a wonderful city to walk around in. There is so much to be discovered and experienced - from ancient churches with graveyards home to headless specters to centuries-old pubs full of spirits, both the kind you drink and the kind that make you want to leave the light on at night. We spent three days walking around and taking in the sights, sounds, smells and chills of York. Visits to haunted pubs like the Golden Fleece, Black Swan, Snickleway Inn, White Swan, Ye Olde Starre Inn, and York Arms are highly recommended. We would also recommend taking the Original Ghost Walk (http://www.theoriginalghostwalkofyork.co.uk/) - you'll learn a lot about the ghosts and fascinating history of this gem of a town. Next stop was Edinburgh - next to our home base of Austin, Texas, my all-time favorite place. This is one fabulous city. It has everything - it's extremely old and beautiful, full of history that is both dark and inspiring, loads of students from all over the world enjoying a city rich in it's literary tradition and equally rich in the number of pubs and nightclubs, breath-taking scenery dominated by a thousand-year-old castle balanced precariously on the spine of an ancient volcano (http://www.edinburghcastle.gov.uk/index.htm), eerie kirkyards (Scottish church graveyards) and inky black underground vaults chock-full of ghosties, ghoulies and things that go bump in the night. Our B&B in Edinburgh was equally fabulous and comes highly recommended. Situated at the base of Castle Rock (step outside the front door, look up and there's the castle sprawled out in front of you), this is the home of Hélène and Erlend Clouston (http://www.aboutscotland.com/edin/cambridge.html). Gourmet breakfasts with a can't-be-beat location and warm hospitality from a very interesting couple - book your room today! Highlights for us during our three days were Edinburgh Castle, Holyrood Palace, walking up and down the Royal Mile, Ensign Ewart's (my favorite pub) and the Last Drop in the Grassmarket, Greyfriar's Cemetery (the flat where J.K. Rowling lived while writing the first Harry Potter book looked down upon this cemetery), and tours of the haunted vaults and Old Town. Up until this point in the trip, we had enjoyed various forms of public transportation - planes, trains, the Tube, taxis. We were about to embark upon the part of our trip that made me the most nervous - ghosts I can handle, driving on the wrong side of the road in the wrong side of a car was a whole other story! As it turned out, this was a great lesson in partnership for the two of us. We each had a job to do. Roger drove and I navigated. Leaving Edinburgh in our standard compact was exhilarating in both a good and slightly nauseating way! We decided it was a great idea to make our first stop a church - prayers for a safe journey. Rosslyn Chapel (http://www.rosslynchapel.org.uk/) was recently made famous by Dan Brown's "The Da Vinci Code" as the burial site of Mary Magdalene. While this appears to be fiction, the chapel does house many delightful mysteries including its own ghosts, a crypt complete with several knights buried in full armor as confirmed by state-of-the-art sonar, intricate carvings detailing biblical stories alongside pagan green men. Who needs fictionalized tales of the Holy Grail when you have all of this magic to ponder during your visit? After our detour south to visit Rosslyn Chapel, we headed north towards the magical, breath-taking Scottish Highlands for a couple of days. After traversing the wild Craighorns, we stayed at a fabulous old hunting lodge called Coul House Hotel (http://www.coulhousehotel.com/index.htm) in the village of Contin, just northwest of Inverness. Queen Victoria's visit here is commemorated in a painting that hangs over the dining room fireplace. Owners Stuart and Susannah Macpherson made our stay very special. The hotel has a great atmosphere, stunning grounds and the meals were fabulous. This is a great location for touring the Highlands. Our first day was spent driving down the Westside of Loch Ness (my eyes were peeled watching for "Nessie" out the window) to Drumnidrochit, home of the Loch Ness Monster Centre, haunted Urquart Castle and cruises on the loch. We didn't see Nessie that day, but our boat's captain did tell us that he'd witnessed two large, moving sonar hits deep in the loch that were too big for any known fish and unexplainable. We had a one final must-see while in Scotland before heading to the Emerald Isle - Glamis Castle (http://www.glamis-castle.co.uk/), the most haunted castle in Scotland and the childhood home of the Queen Mother. This place is everything you think of when you think of a castle - it even has a secret room and chapel haunted by a "grey lady." After a night spent in Glasgow, we flew to Dublin for the remainder of our honeymoon. Neither one of us had been to Ireland before so we were excited to spend a week exploring together. After seeing the Book of Kells housed at Trinity College and savoring our first Guinness in an Irish pub (it really is better), we decided to focus on the southern and western counties of Cork, Kerry and Clare and to see the country via car (we were real pros by now) while staying in B&Bs along the way using a wonderful service called B&B Ireland (www.tandctrade.com) where you purchase vouchers redeemable at over 1,000 Irish town and country homes. Staying with Irish families was a wonderful experience and we really enjoyed this aspect of the trip. 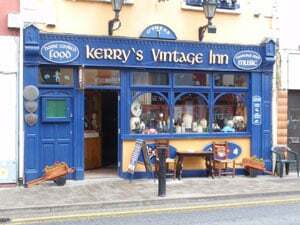 Our favorite location and one we would highly recommend is on the Dingle Peninsula in County Kerry outside a small village called Castlegregory. Griffin's Palm Beach Country House (www.griffinspalmbeachcountryhouse.com) has been an operating B&B for over 30 years (one of the first in Ireland) and is owned by a delightful hostess named Catherine Griffin. Wonderful breakfasts and views of the sea and green fields filled with sheep make for a very peaceful stay. Some of our favorite experiences in Ireland included Kilkenny Castle, the Rock of Cashel, our drive around the Ring of Kerry (a clear day is a must), our stay in Doolin, the live traditional Irish music epicenter of Ireland (three pubs have traditional music most nights), and exploring the Burren's prehistoric sites. Our last day and night in Ireland was spent in luxury with a stay at the very expensive and impressive Dromoland Castle (http://www.dromoland-castle.us/), just a 15-minute drive to the Shannon Airport. The castle is beautifully decorated, offers many outdoor activities such as golf, riding, walks through the extensive gardens and is slightly creepy in places with its fair share of ghosts. Our meal there was one of the best we've ever had (the wine "list" comes in the form of a 6-inch thick bound book and includes $15,000 bottles of wine - we didn't partake of one of these). Apparently, Sting likes to hang out there and throw parties and I can see why. It was a smashing end to a really perfect honeymoon! Our honeymoon cost around $9,000.00 including airfare, 4-day BritRail pass and car rental. We loved our trip so much that we're already talking about a trip to Scotland in 2009. This time, we'd like to focus on the Highlands and visit several of the islands off the northwest coast of Scotland like the Isle of Skye. 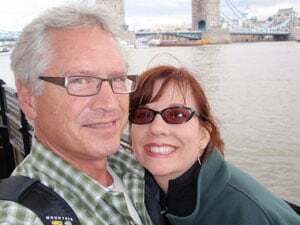 For us, our honeymoon was a special time to bond as husband and wife filled with things that we love to do together - ghost hunt, frequent pubs and sample good brews, learn about the history of ancient places, and enjoy some of the most gorgeous scenery in the world. Thanks to Traveler's Joy, we had the opportunity to bring our family and friends along with us, in a way. Everyone was really interested in our itinerary and their opportunity to gift us with special activities. Many reported the feeling of being able to participate with us, thinking of us and knowing where we were while we were gone. It made our homecoming celebration even more special.